Free Practice 1 + 2: At the end of the first free practice session Ryan Tveter was P 3, and on a very fast pace. Jörg and Malja were trying race set up on used tyres beeing P 20 and P 22. In the second session all drivers improved themselves on used tyres again and showed a very fast pace on new tyres in the end. Kevin Jörg was able to set the overall fastest laptime and finished the session on top of the time sheet - P 1. Ryan Tveter fast again on P 8. Gustav Malja still working on his performance was P 18. Qualifying 1: In the first qualifying Malja was in Group A with a poor run only on P 8 in his group. Tveter and Jörg in Group B were also a bit behind the expectations. Tveter was on P 5 in the group. Jörg, leading more than half way through the session was blocked in his fastest lap at the end and was only P 6 in the group. 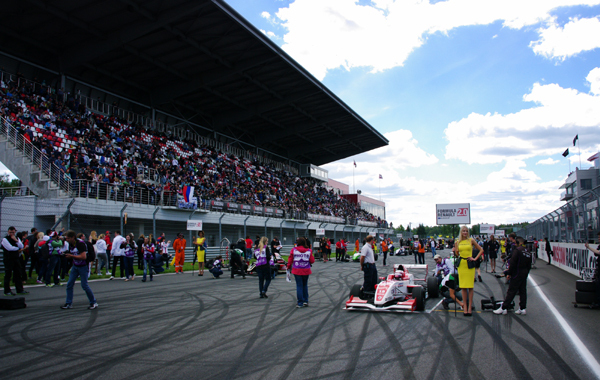 Overall on the starting grid it was Tveter P 9, Jörg P 11 and Malja P 16. Race 1: In the first race Tveter and Malja drove a good race with a lot of wheel to wheel overtaking action. Malja finished P 14 and Tveter on P 12. 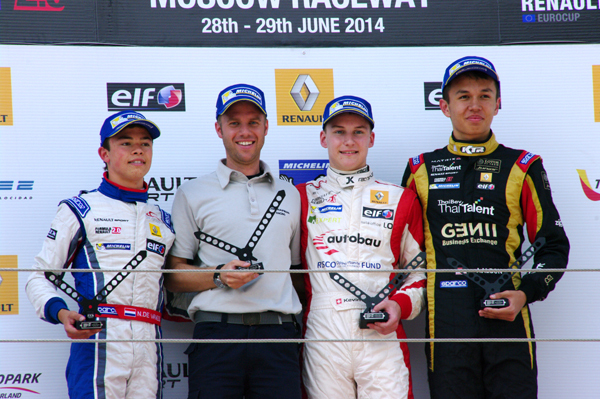 Kevin Jörg was able to improve himself during the race and managed to jump on P 7 in the end, scoring valid points. 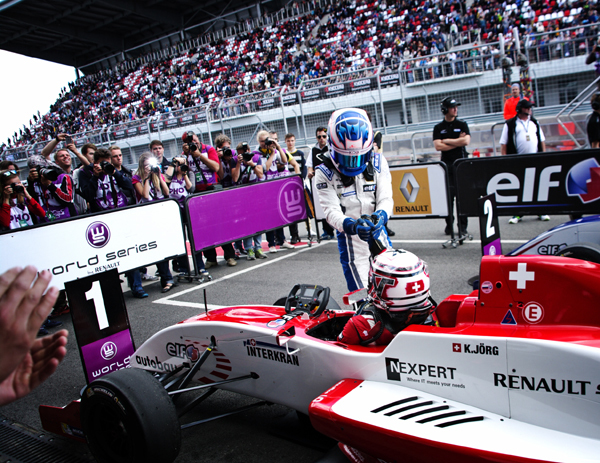 Qualifying 2: In the second qualifying on Sunday morning, Malja again was disappointing with P 10 in his group. Tveter and Jörg again were fighting for the top spots. Tveter finally ended P 6 in the group. Jörg showed once more his potential with setting the fastest lap of his group - P 1. Overall for the race grid this time Jörg on the front row P 2, Tveter P 12 and Malja P 19. Race 2: In the second race Malja ended up on P 17. Ryan Tveter drove a very good race with constant lap times and a strong pace. 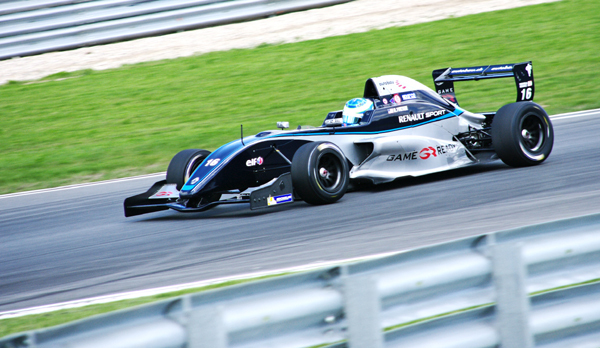 The result was that Tveter was able to finish the race in the points and scoring his first point for this year in FR 2.0 Eurocup. Kevin Jörg was the man of the race. With a very good start the young swiss too over the lead into turn 1. After that, he drove a superb race without any mistakes. Pulling away from the field in the beginning, Jörg afterwards managed his lead and the gap untill the end of the race. 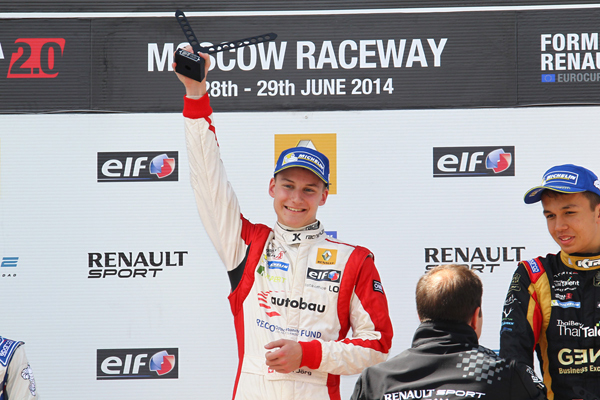 After 18 laps he finally won his maiden FR 2.0 Eurocup race - perfect performance from start to finish!